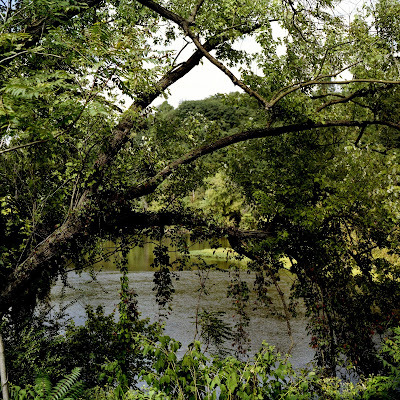 A peek at the James River passing through Lynchburg, Virginia through the dense foliage on its banks. I returned to my Kiev 60's to shoot my last two rolls of Fujifilm Reala and despite their quirks, I still love them as field shooters. Scanned using an Epson V500 Photo using Epson's OEM software.